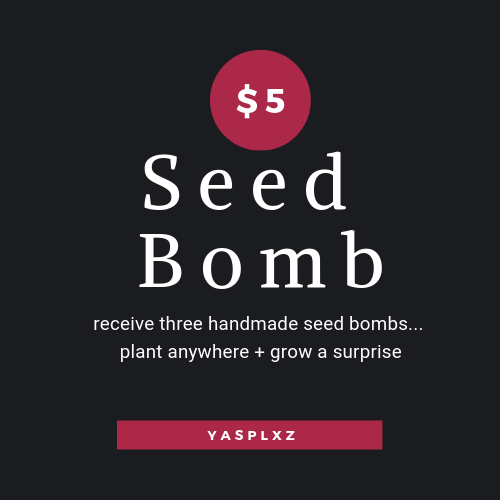 Three seed bombs created from homemade recycled paper &amp; containing either flowers or veggie seeds... you won't know until they grow! Ideally, the whole world should be full of flowers &amp; food...let's turn communities green by carpeting them with seeds! Cannot guarantee that they will grow, however seeds are chosen to be reliably grown in full sun with generally average rain/water amounts. Sourced seed has been successfully fully grown by seller, but individual results will vary.